In many ways, this was the spiritual sequel to our number 20 single, David Bowie’s Ashes To Ashes. Visage frontman Steve Strange stepped out of the video for that song and straight into the limelight to sing this, the national anthem of electro-pop and deviant disco. 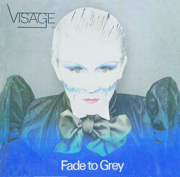 Fade To Grey was a melting pot of early-Eighties talent, with lyrics by Midge Ure and a backing track developed from a piece originally called Toot City by Ultravox’s Billy Currie. The song’s bassline was later an inspiration for U2’s New Year’s Day. When New Order released their first “best of” album, Substance, in 1987, they booked in for a short but intense studio session to record a couple of new tracks. And both would become career highlights. One was True Faith and the other was its equally spellbinding B-side, 1963. 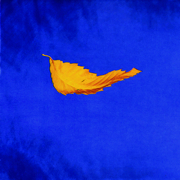 True Faith was almost (but not quite) New Order’s biggest Eighties single – reaching number four in the UK in August 1987. It was nudged out of place when the best-forgotten 1988 remix of Blue Monday hit number three the following year. 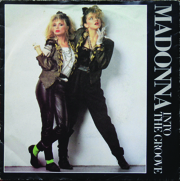 From Sonic Youth to Dannii Minogue, many have tried to cover Into The Groove but none have come close to the greatness of this single, which imprinted Madonna Louise Ciccone on the hearts and minds of the world in the summer of 1985: as much for the music as the video, the movie it came from (Desperately Seeking Susan) and her then-outrageous one-woman fashion show. A double A-side with Angel in the US, it was released in its own right in the UK, making number one for four straight weeks. 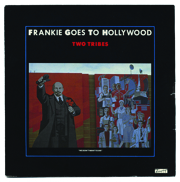 Two Tribes wasn’t just a single, it was an event: a piece of music that was as nuclear as its subject matter, exploding across multiple remixes and formats, and remaining at the UK number-one spot for nine straight weeks (the longest stint for any single between 1978 and 1991). It was number one for so long, in fact, that its B-side, War, became a separate single in itself. 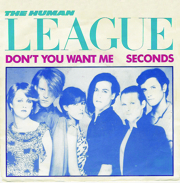 By the time this single was released, The Human League had more than paid their dues. 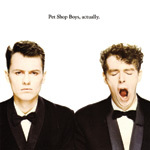 They’d released eight singles, starting off as a cult group of electronic experimentalists with tracks like Being Boiled and Empire State Human. And they’d been through a Thompson Twins-style metamorphosis: re-designing their image, their artwork, their line-up and their sound, and setting their sights on pure pop. 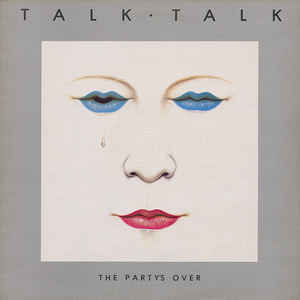 And the results were instant: The Sound Of The Crowd, the first single from 1980’s Dare, went to number 12 in the UK, and it was followed by a number three for Love Action and a number six for Open Your Heart. All of which paved the way for Don’t You Want Me, which dropped with a video that looked like pure cinema, and vocals from – it was hard to tell back then – what looked like either actors, pop stars or, just as believably, jilted lovers. The single exploded: number one in the UK, the USA and around Europe, it’s since sold more than 2.5 million copies. As if to prove there was nothing novelty or particularly era-specific about it, by the time it was used in a Fiat ad in 2002, we welcomed it back with open arms (or, rather, ears). In fact, one of the things that makes Don’t You Want Me a worthy winner here is how the group have treated the single in the decades that have passed since it slipped down the charts. It’s easy to disown your most popular work as a way to make a statement and present new material. The harder route is to embrace it, upgrade it and keep it as the highlight of your live set as the years go by. But this is what The Human League have done, and the result? Don’t You Want Me is now, officially, the best single of the 1980s.